Signaling through the netrin-1 receptor, deleted in colorectal cancer (DCC), in dopamine neurons controls the extent of their innervation to the medial prefrontal cortex (mPFC) during adolescence. In mice, dcc haploinsufficiency results in increased mPFC dopamine innervation and concentrations in adulthood. 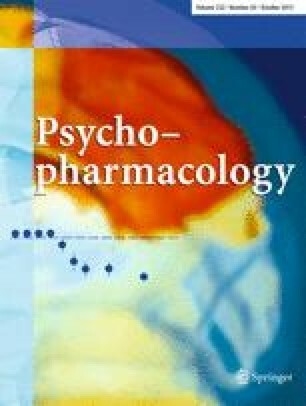 In turn, dcc haploinsufficiency leads to resilience to the effects of stimulant drugs of abuse on dopamine release in the nucleus accumbens and behavior. First, we set out to determine whether increased mPFC dopamine innervation causes blunted behavioral responses to amphetamine in adult dcc haploinsufficient mice. Second, we investigated whether unc5c, another netrin-1 receptor expressed by dopamine neurons, is involved in these effects. Third, we assessed whether haploinsufficiency of netrin-1 itself leads to blunted behavioral responding to amphetamine, whether this phenotype emerges before or after adolescence and whether increased mPFC dopamine input is the underlying mechanism. Adult, but not adolescent, dcc, unc5c and netrin-1 haploinsufficient mice exhibit blunted behavioral responses to amphetamine. Furthermore, adult dcc, unc5c, and netrin-1 haploinsufficient mice have exaggerated mPFC dopamine concentrations in comparison to their wild-type littermates. Importantly, resilience to amphetamine-induced behavioral activation in all the three mouse models is abolished by selective dopamine depletion in the medial prefrontal cortex. dcc, unc5c, or netrin-1 haploinsufficiency leads to increased dopamine content in the mPFC and to resilience against amphetamine-induced behavioral activation. Our findings raise the hypothesis that DCC, UNC5C, and netrin-1 act in concert to organize the adolescent development of mesocortical dopamine innervation and, in turn, determine behavioral responses to drugs of abuse. This work was funded by Canadian Institute for Health Research (C.F. MOP-74709), the Natural Science and Engineering Research Council of Canada (C.F. Grant Number 2982226), and the Fonds de la Recherche en Santé du Québec (C.F. ).